One of the greatest things as an Indie game developer is too be able to watch people play your creation first hand. I’ve been fortunate to be able to participate in several Vandal Overnight Games events here at the local University. 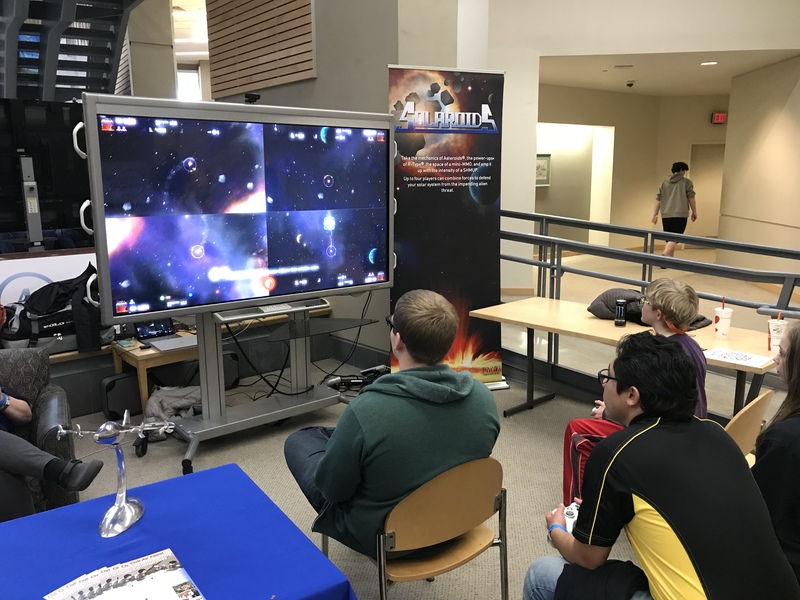 The University of Idaho sponsors both Fall and a Spring semester event each year, and it is always loads of fun for everyone. 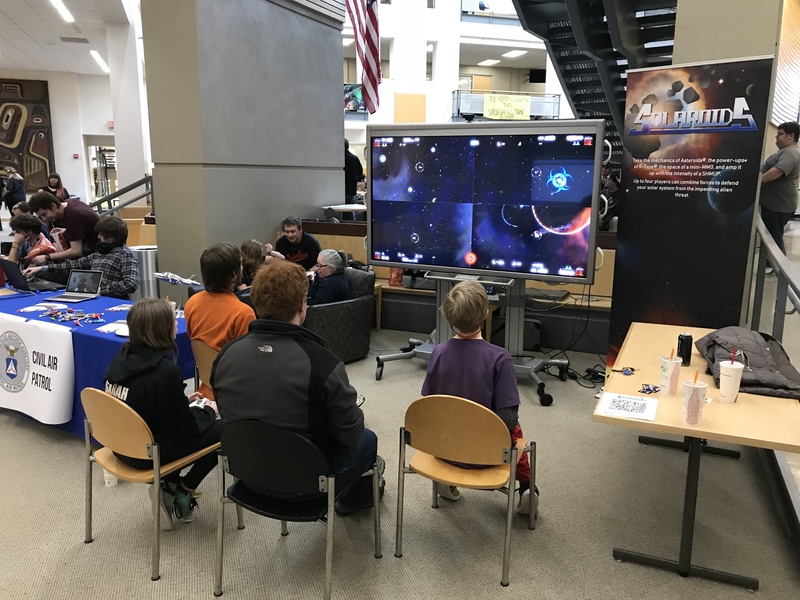 I usually spend most of my time hanging out with players in the Solaroids area, but there is a lot going on all over related to gaming of all kinds. From board games, physical games, card games, VR, classics, tournaments, etc. there is something for every game lover. My Solaroids T-Shirt wearing kids have a great time too, whether they are playing Solaroids or board games in the nearby rooms. This spring (April 7th) I saw both folks from previous events as well as some new faces. From early afternoon till close to midnight there was an almost constant stream of players coming, playing for a while, leaving, and then coming back, sometimes multiple times. I don’t know how many player hours were clocked that afternoon evening, but there almost wasn’t a time where the controllers didn’t have players both young and old at the helm. One thing I learned this time is to not take your stuff for granted! I thought I had everything together and pretty much ready to grab and go from the last Solaroids event in December (a gaming themed Holiday party for work), but I spent way to long tracking down a “lost” Display Port to HDMI adapter that ended up getting misplaced in the rush. In addition, while setting up I discovered that my old XBox 360 wireless controller adapter was not going to power-up no matter how many times I unplugged and plugged it in, switched USB ports, or rebooted! Luckily home wasn’t far away with both a spare and XBox ONE variants, and my lovely assistant still at home was ready to save my bacon! This spring I decided to amp it up a bit and so spent the weekend before, and a few evenings, re-creating my box art in a a brighter and higher resolution format so I could produce a banner graphic and token cards. The banner graphic turned out pretty good despite my nervousness of never having made one before myself. At 36×92 inches and exported at 300dpi it was a massive 10,800x 27,600 pixels. My original box art I created in the GIMP long ago but was never designed for print. 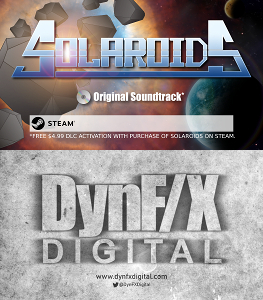 I went back to my source material and re-composed the original box art in Inkscape, my vector illustration program of choice, and then added a few of the more recent visuals and descriptive text. I even modified a game mode I have that just draws the background elements to only draw the stars so I could take advantage of my in game compositing to make a new star backdrop. If you look really close you’ll see where I mirrored it to fill the bottom of the banner!! Well I’m pretty happy with it and it looked great at the event. Even the folks at the local FedEx printers payed me compliments, and I was able to give a token card to one of them that was really interested that it ran on Linux. Speaking of which, the token cards turned out really well as well, and I was able to hand out a bunch throughout the event. 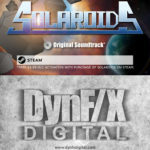 In addition to the rest of the game, I wrote the Soundtrack myself over the course of development, so I decided it would be cool to include a “Free with Purchase” Steam Key for the Soundtrack as a Downloadable Content (DLC) that they could use or pass along. Time will tell whether these get activated, but I thought it would be a good thank-you-for-playing freebie.